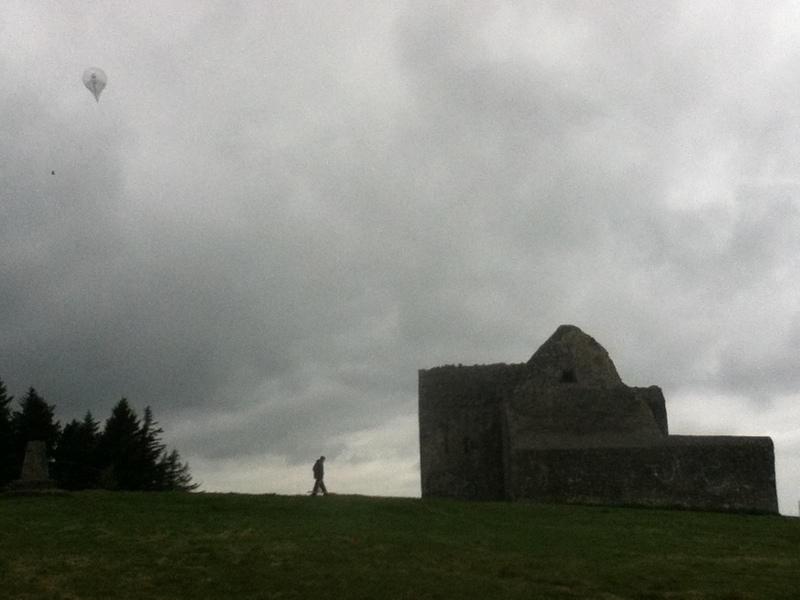 At the start of November Earthsound headed down to the village of Kilfinnane in Limerick. This quiet village hosts one of the most impressive monuments to be seen in the Irish landscape – a lofty motte, rising to 12m in height, surrounded by a series of imposing banks and ditches. Standing atop the motte, sweeping views are given of the surrounding landscape – taking in Keale Mountain to the south, the Ballyhoura Hills to the southwest, the Galtee Mountains to the east, and a rolling countryside to the north. This monument has been adopted by a community council and Tommy O’Sullivan acted as liaison for us. He, along with other enthusiastic locals, were able to fill us in with a great amount of detail of ‘The Moats’ recent background and older history. Little is known about the history of the monument and there are very few other monuments recorded in its immediate vicinity. A standing stone is located in an adjacent field. The Kilfinnane Community Council has made great efforts to assemble of huge range of historical documents, local knowledge and folklore to create a greater understanding of the landscape – and the geophysical survey is another step towards this. A broad survey was undertaken of the lands surrounding the motte. The site was investigated using an eight-probe magnetometry system and an electromagnetic instrument. The aim of the survey was to identify any associated anomalies, perhaps a bailey, or other unknown anomalies. The magnetometry covered the entirety of the survey area, whereas the EM was used to target the area adjacent to the banks and topographic features elsewhere. Acknowledgements to the landowner Tom for allowing us access to his lands for the survey. The survey was commissioned by Abarta Heritage, on behalf of the Kilfinnane Community Council, as part of the ‘Adopt A Monument’ Scheme being administered by the Heritage Council and Abarta Heritage. Our latest magnetometer array is the Earthwalker – the first in-house piece of equipment created by Earthsound Geophysics. The Earthwalker was designed, sourced and built by Earthsound’s Cian Hogan, with input and help from all staff. 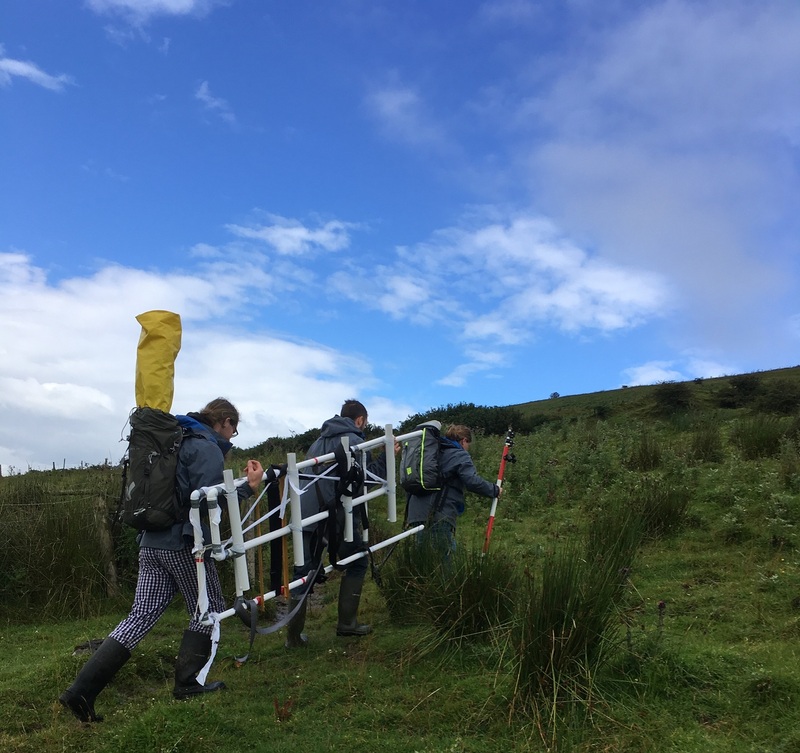 Our regular multi-sensor magnetometer array uses a wheeled cart – however, due to increasing demand to undertake fieldwork in remote and challenging terrain, a more suitable and sturdy option was required. From uplands and rocky outcrops to dunefields and the inter-tidal zone, Earthsound’s new Earthwalker array allows us to carry out high-resolution GPS-acquired magnetometry no matter what the terrain. 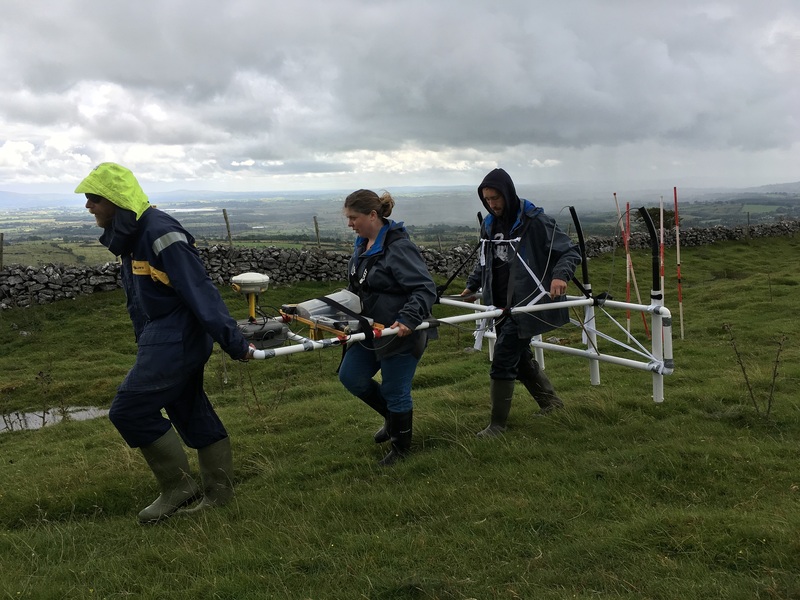 The Earthwalker had its maiden survey at Knocknashee Hillfort, as part of the 2017 season of the Knocknashee Archaeology Project – and it was a great success! It took 8 people to transport our survey gear – 2 x GPS, 8 x ranging rods, food for the day (most important! ), a metal detector, survey flags, 4 x magnetometers, an electronics box, and the Earthwalker array – to the top of the hill. 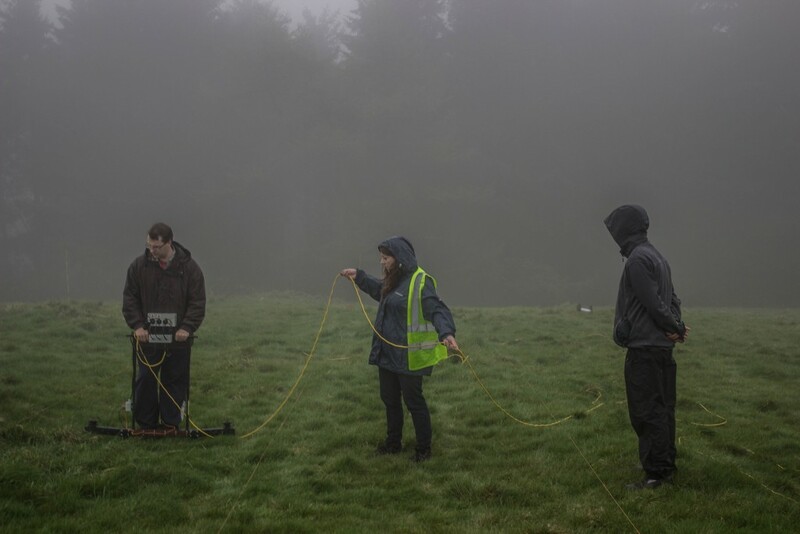 Earthsound surveyors worked together to collect data over 9 Ha of data, developing a methodology and refining the array.The Earthwalker delivered the first large scale, high-resolution assessment of the Knocknashee hillfort interior. Aim: Earthsound, together with Rubicon Heritage Services, IT Sligo and Cotswold Archaeology have carried out a series of geophysical and metal detecting surveys across the purported location of the 1798 Vinegar Hill Battlefield, with a view to confirming its location and systematically investigating elements of the battlefield. Earthsound have carried out high resolution Magnetometer, Earth Resistance, Electrical Resistivity Tomography and Metal Detection surveys. Outcomes: The geophysical survey results are currently being written up for publication in a monograph and the investigation will be the subject of an upcoming documentary. ERT probes set out at 1m intervals. 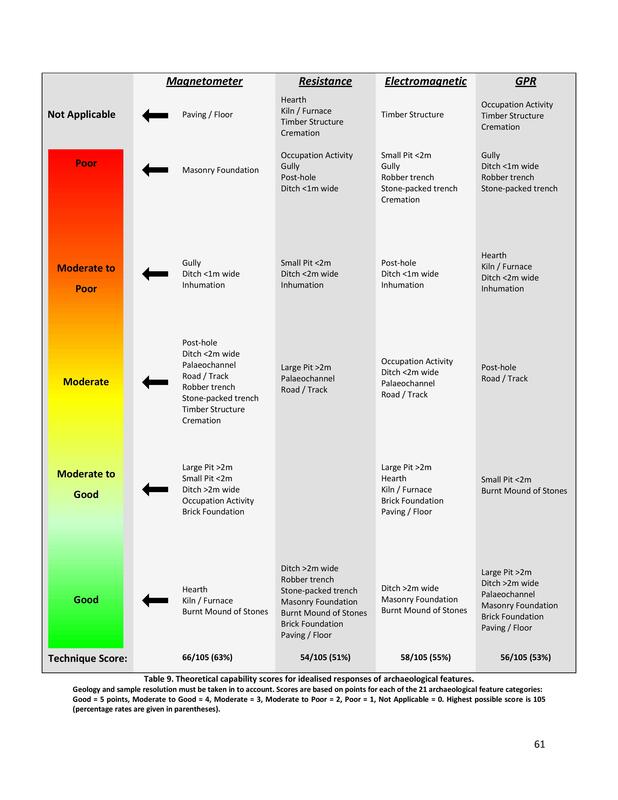 Dr James Bonsall explains the principles of ERT. 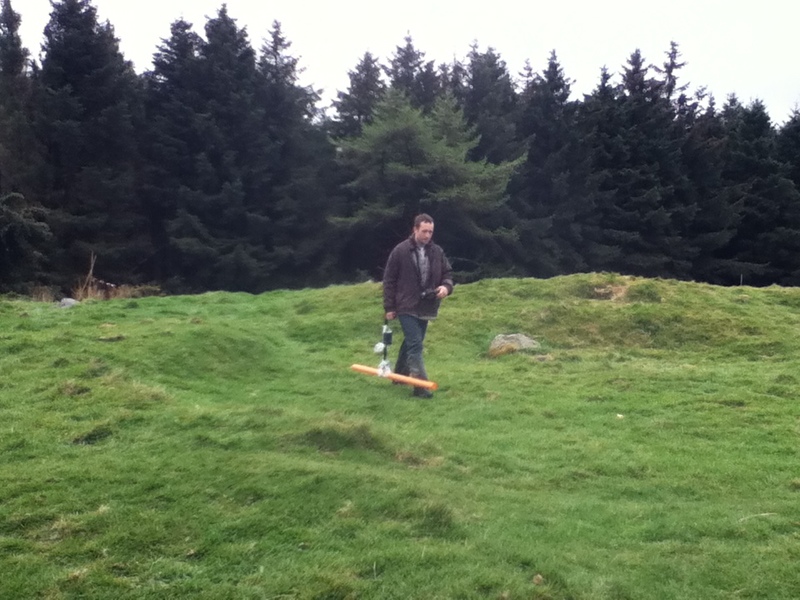 Aim: The purpose of the geophysical surveys was to assess hut sites on the plateau of Knocknashee, a hillfort complex which also contains two Passage Tombs. In 2016 the entire hillfort interior – more than 20 ha in size – was assessed with Magnetic Susceptibility to identify zonations of activity. Specific clusters of huts and enclosures were further investigated with high resolution Magnetometry and Earth Resistance surveys. The 2017 survey used the ‘Earthwalker’ Magnetometer array across the southern half of the plateau and targeted Metal Detection surveys. Outcomes: The 2016 geophysical survey results are currently being written up for publication in a future edition of Emania. The results were used to target a series of excavations in 2017, under the direction of Dr. Dirk Brandherm. Project: Athy Heritage Centre-Museum, Athy, Co. Kildare. Client: Athy Heritage Centre-Museum, funded by the Irish Walled Towns Network, The Heritage Council. Aim: We’ve been carrying out a variety of projects in Athy since 2013. 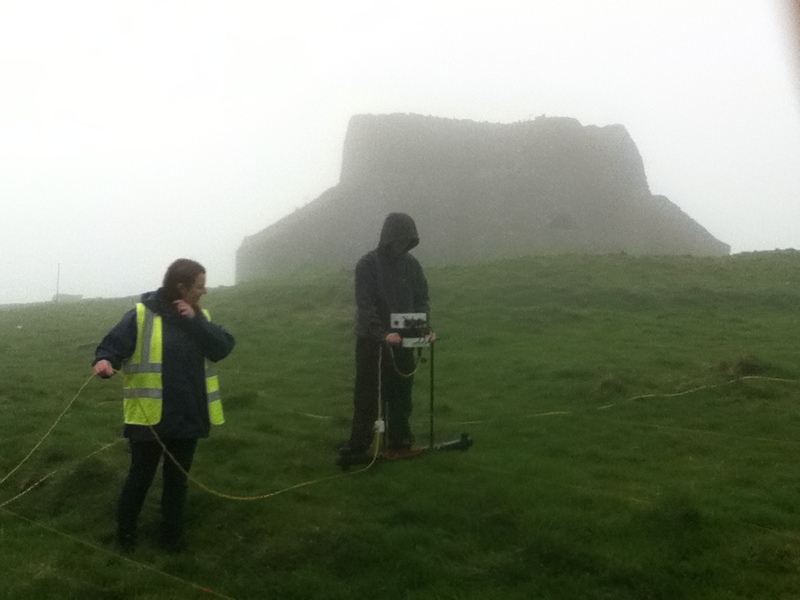 We’ve surveyed the Town Walls and Black Castle Tower using Ground Penetrating Radar and Electrical Resistivity Imaging and used Magnetometry and Electromagnetic Induction surveys at Woodstock Castle. Community Engagement: We’ve given a number of lectures on our work in Athy at the Athy Heritage Centre Museum, we’ve been visited by local schools and filmed for a short video that documented the surveys for the benefit of the local national school. 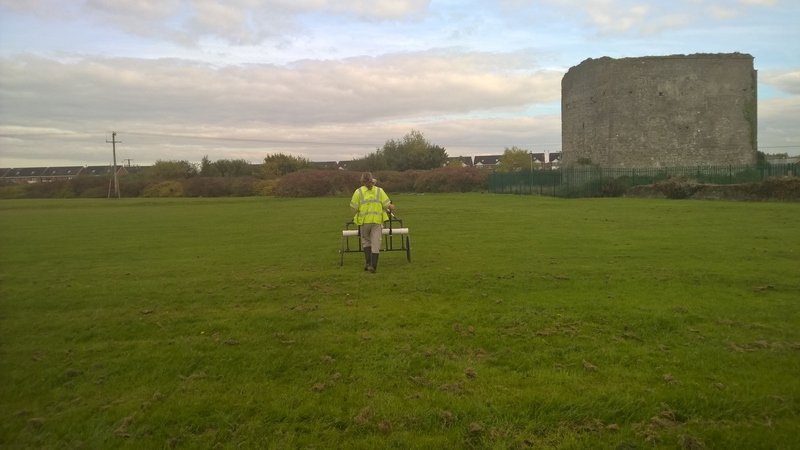 Outcomes: The 2013-2016 geophysical surveys have been used to aid the management of the Athy Town Walls and castles in a rapidly developing urban area. For more information on our work at Athy, see our collection of Blogs from Athy. 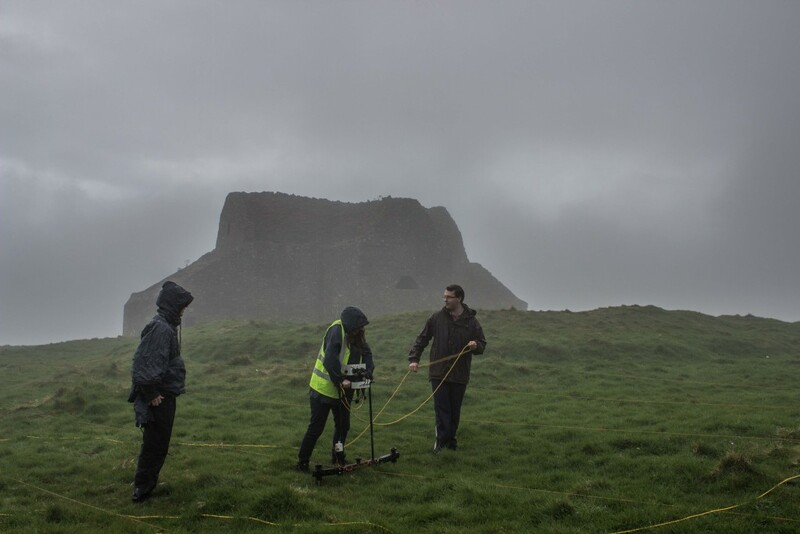 Aim: The purpose of the survey was to assess two Neolithic Passage Tombs on top of Mountpelier Hill and the land surrounding the 18th Century Hellfire Club. The site was investigated with high resolution Magnetometer, Electromagnetic Induction and Earth Resistance Surveys, as well as LiDAR. 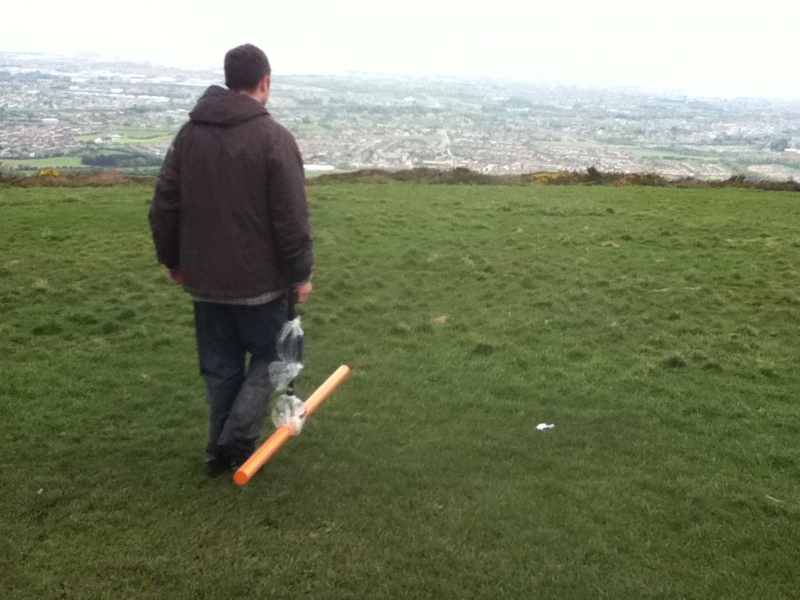 Outcomes: The 2014 geophysical survey results were used to target a series of excavations in 2015 by the Hellfire Club Archaeology Project. The geophysical survey was carried out as part of The Hellfire Archaeological Project in conjunction with Abarta Heritage. The site is located on top of Montpellier Hill in the Dublin Mountains which affords it a panoramic view of Dublin City and Bay. The summit of Monpellier Hill contains the remains of a hunting lodge built by the politician William Connolly in 1725. Adjacent to this is the probable remains of a prehistoric monument and it is thought that the lodge itself may have been constructed of stone robbed from these monuments. According to folklore the roof had been blown down by a phantom from one of the tombs and Connolly had the roof reconstructed in stone. Subsequent to Connolly’s death, the lodge lay in disuse for up to 10 years when it was leased by his widow Katherine to the Earl of Rosse, Richard Parsons. Parsons was a well known socialite and one of the ‘Young Bucks of Dublin’, a group of aristocrats who allegedly engaged in debauchery and possible Devil-worship, essentially what was to become the Hellfire Club. There are no direct accounts of Hellfire Club meetings occurring at Connolly’s Lodge on Montpellier Hill, however it is highly likely owing to its isolated location and association with Parsons. Project: Annacarty Remembered: RIC Barracks, Co. Tipperary. Client: Wolfhound Archaeology, funded by Tipperary County Council, Ireland 1916-2016 and The Heritage Council. 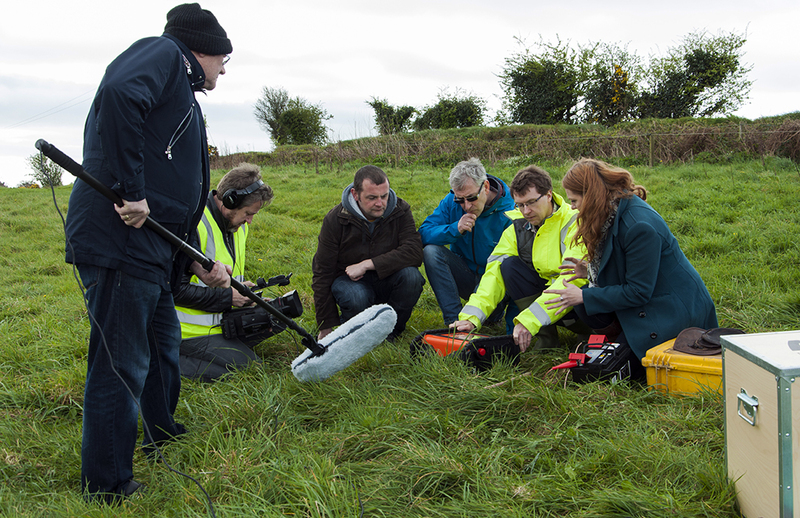 Aim: In June 2016, we carried out extensive Magnetometer, Electromagnetic Induction, Ground Penetrating Radar, Earth Resistance Surveys and Metal Detection surveys at the RIC Barracks in Annacarty as part of a large commemoration event which was also filmed by RTE’s new television series John Creedon’s Epic East. The film crew were very interested in the geophysical survey and obtained some great drone and GoPro footage of our work. 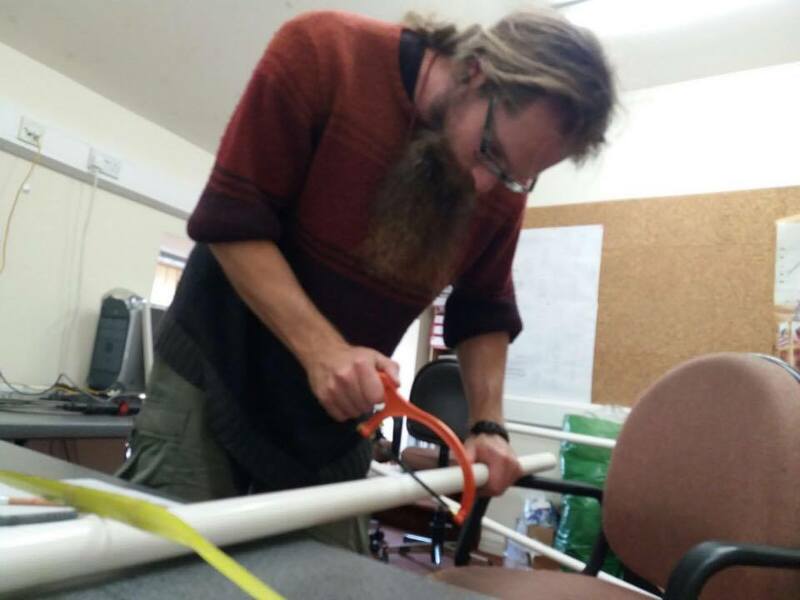 Community Engagement: 1 volunteer worked with Earthsound geophysicists for 1 day (volunteer labour contribution: €164). 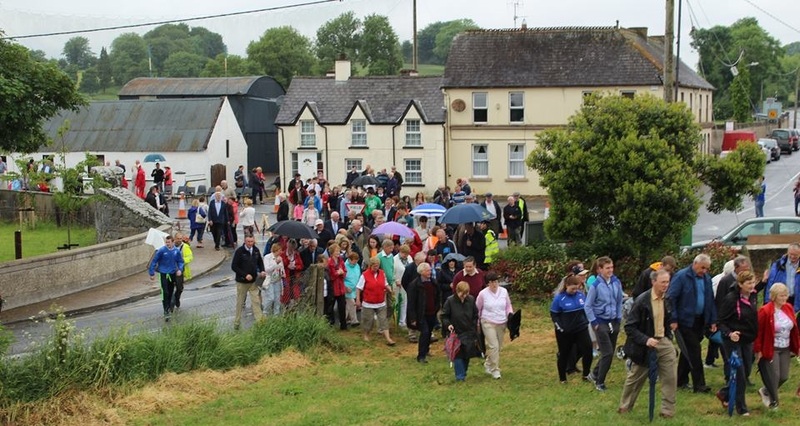 The survey was filmed for RTE television and culminated in a large commemoration on the last day of survey, attended by more than 220 people, with Earthsound geophysicists on hand to explain the survey, it’s purpose and findings. 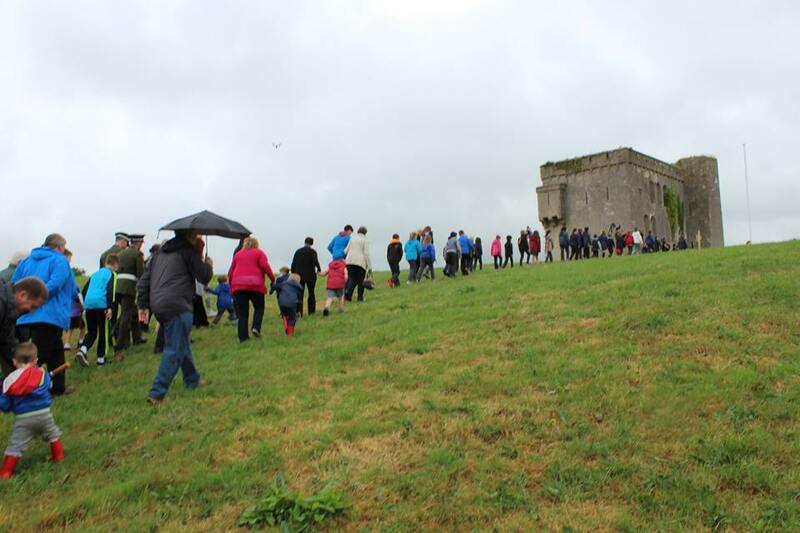 Outcomes: The 2016 geophysical survey culminated in a large commemoration ceremony (see below) attended by local school children and adults, the Army and many local politicians. The survey results will be integrated in to a management plan for the site. 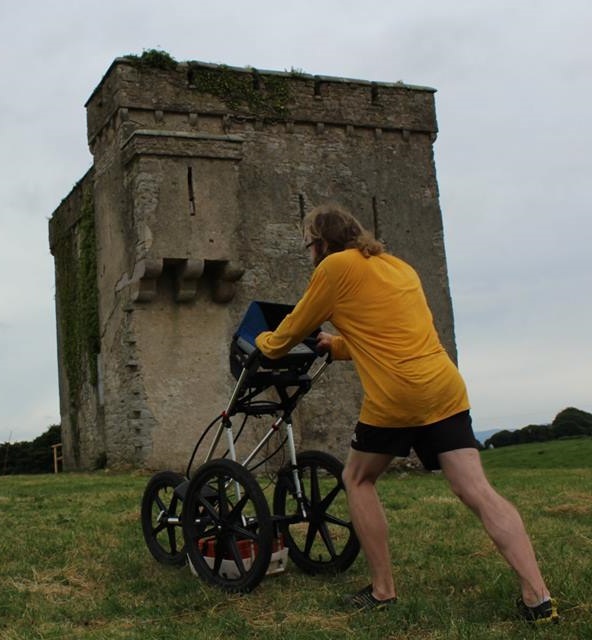 The geophysical surveys were carried out as part of a research project managed by Wolfhound Archaeology, funded by Tipperary County Council, Ireland 1916-2016 and The Heritage Council. 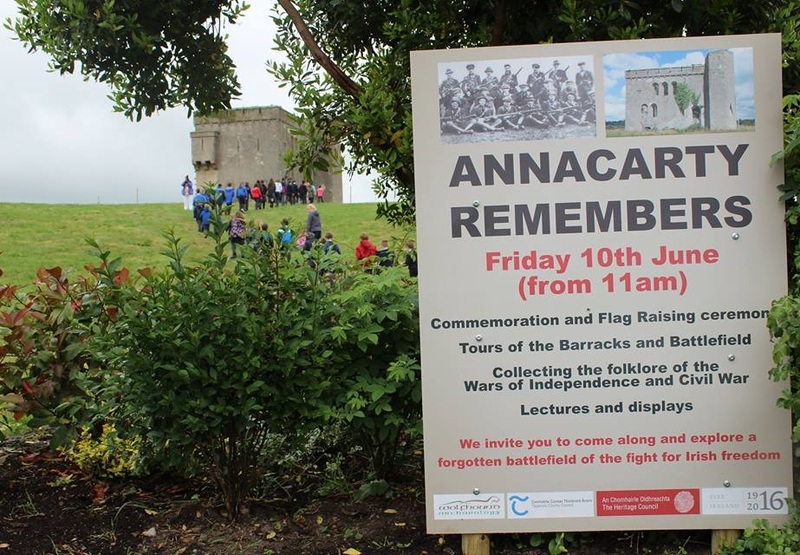 The research formed part of the Annacarty Remembers event, which commemorated the events of the War of Independence and Civil War. School children lead the procession up the hill towards the Barracks. Annacarty Barracks, which was originally constructed as an RIC barracks in the early 19th Century, saw considerable action during the conflicts prior to the foundation of the Irish state. In the spring of 1922, the truce had been signed and the barracks handed over to the volunteers. The children of Annacarty N.S. were marched up the hill to the barracks by the principal, Mr. Slattery and sang Amhrán na bhFiann for the volunteers as they raised the tri-colour. The procession recreated the original event in 1922. On June 10th 2016, the event was recreated by more than 220 school children, local residents and visitors. The building bears the scars of these battles but is otherwise virtually untouched since it was burnt out after a short but violent siege in 1922 during the Civil War. 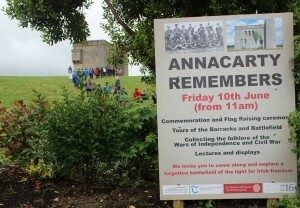 The Annacarty Remembers gathering walking up the hill to the Barracks. The surveys were led by Heather Gimson and supported by Dr James Bonsall, Darren Regan and Cian Hogan, who used various geophysical instruments to map additional structures around the barracks and carried out a detailed photogrammetry survey. Recording bullet holes in the wall. In the meantime, the ‘Bone Detector’ takes a snooze. 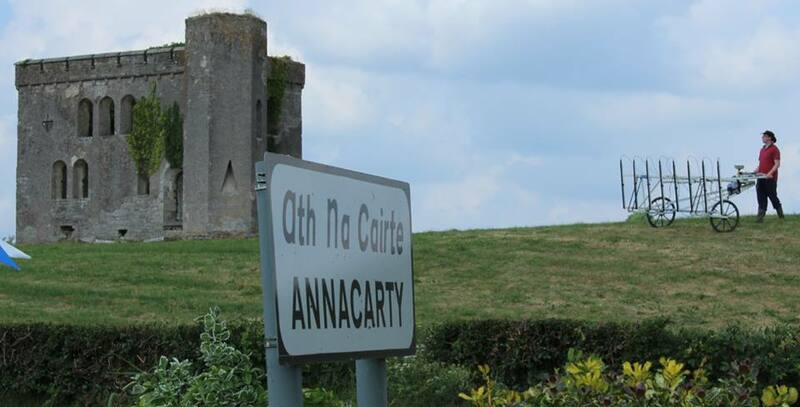 We enjoyed wonderful hospitality from the people of Annacarty, who really welcomed us to their village. Particular thanks are due to Tom Tuohy, The Parish Shop & Tea Rooms and the Crossroads Pub (which kept us – and the dog – in great health with lots of ice creams and drinks. 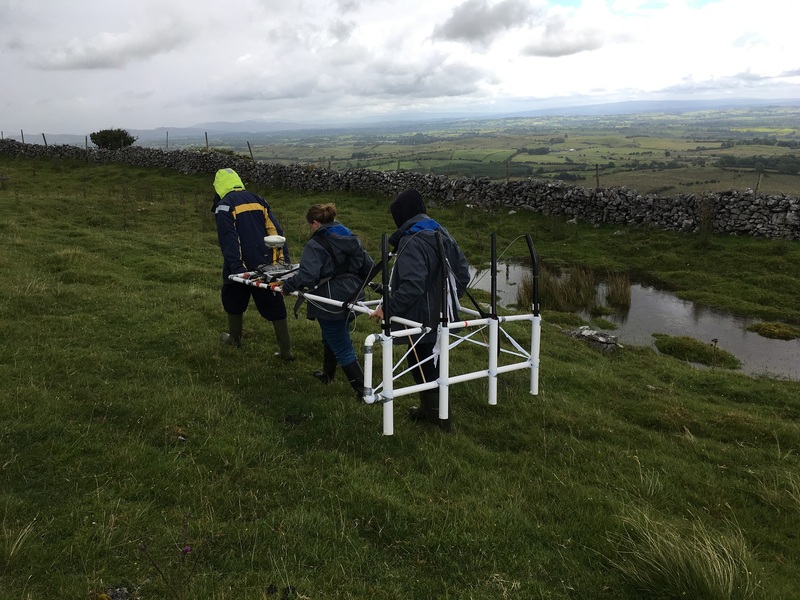 The use of archaeological geophysics on national road schemes between 2001 and 2010 has been comprehensively reviewed as part of a National Roads Authority (NRA, now known as TII – Transport Infrastructure Ireland) archaeological research project funded through the NRA Fellowship Programme. The study, which was awarded funding in 2010, was carried out by James Bonsall, Dr Chris Gaffney and Professor Ian Armit from the University of Bradford in the UK. Earthsound Archaeological Geophysics acted as the university’s industrial partner in the research. 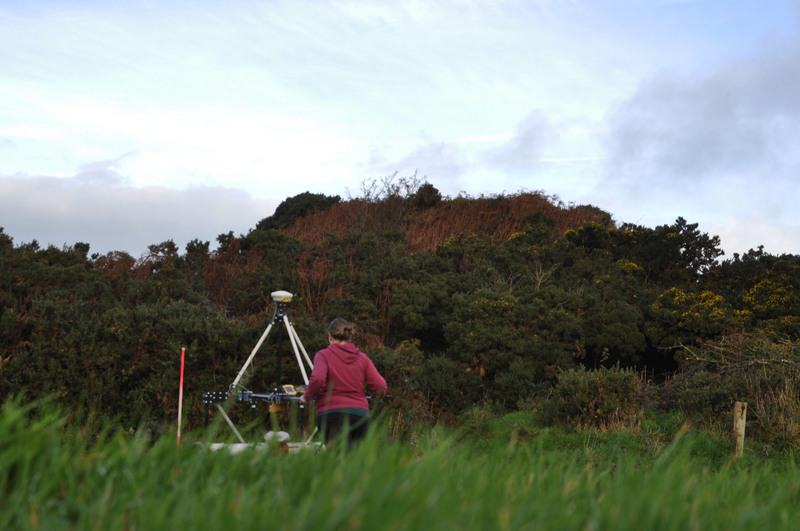 The research delivered a set of guidelines entitled Preparing for the Future: a re-appraisal of archaeo-geophysical surveying on Irish National Road Schemes 2001-2010, which has been used by the NRA/TII to commission new geophysical surveys based on lessons learnt from the study. The document has recently been published online by the NRA/TII and other outlets. 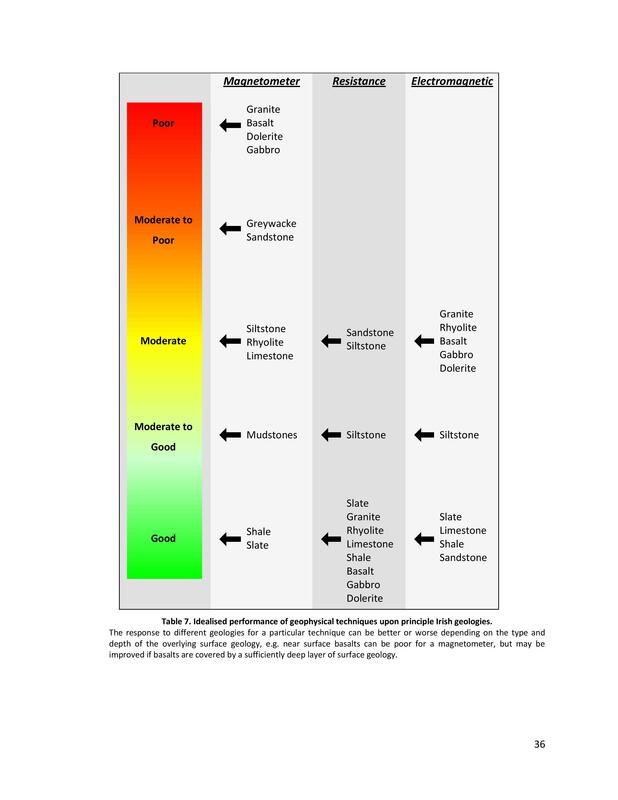 a Specification Key that assists non-geophysicists to determine the most appropriate geophysical technique(s) for a given study area or receiving environment. This [guidance] document reviews Legacy Data generated from 10 years’ worth of road scheme activity in Ireland to determine how archaeological geophysical surveys could be carried out on national roads in the future. The geophysical surveys were carried out by several different contractors across a range of challenging field conditions, geologies, weather and seasons. 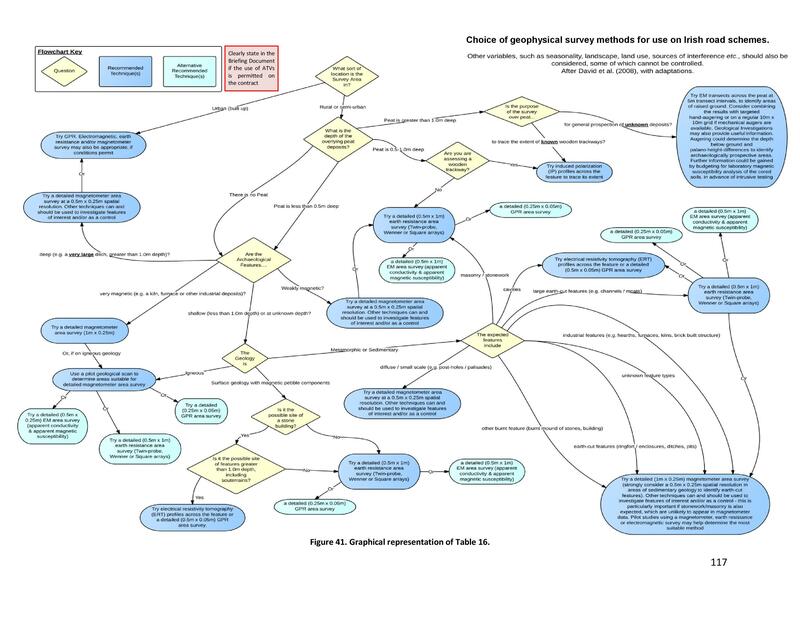 The research is based upon the results of linear schemes but also has validity for wider approaches. 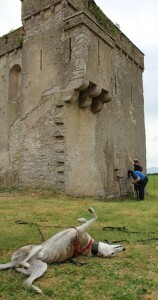 The findings of this research are based upon the compilation of all terrestrial archaeological geophysical surveys carried out on behalf of the National Roads Authority (NRA), a review of the success or otherwise of those surveys in comparison with ground-observed excavations and in combination with experimental surveys that tested previously held assumptions or knowledge to determine best practice methods for the future. 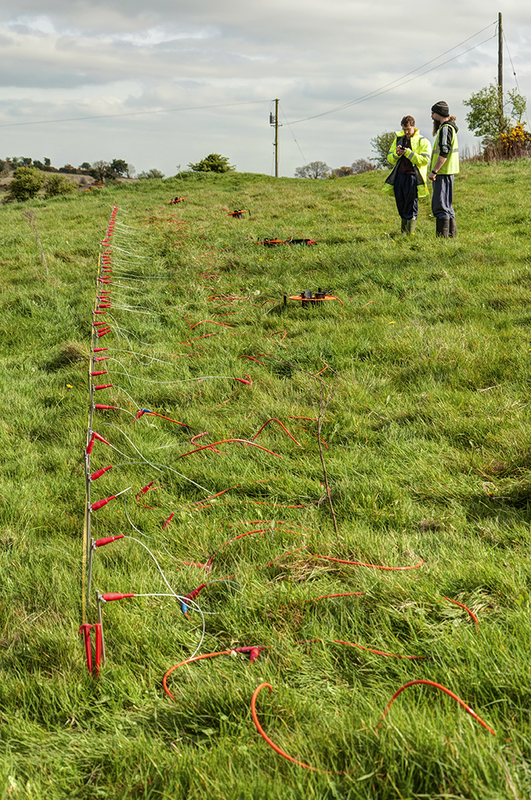 The use and success of geophysical surveys in Ireland differ quite significantly from those in the UK, from where many of the methods of assessment were derived or adapted. 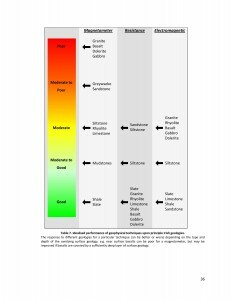 Many of these differences can be attributed to geology. Ireland has a very high percentage of Carboniferous limestone geology, overlain mostly by tills and frequent occurrences of peat. 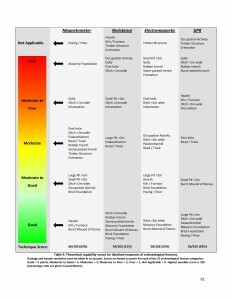 These soils can reduce, to some extent, the effectiveness of magnetometer surveys; the most frequently used geophysical technique in Ireland. However, magnetometer data can be maximised in these cases by increasing the spatial resolution to produce effective results. 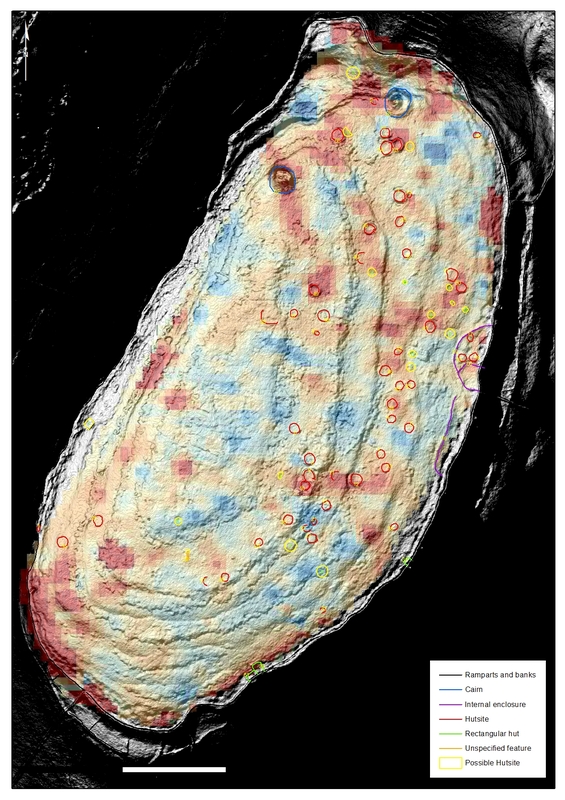 An increase in spatial resolution is also effective generally, for enhancing the chances of identifying archaeological features by discriminating between archaeological and geological anomalies as well as increasing anomaly definition and visualisation of small and subtle archaeological features. A PhD for James Bonsall, which was awarded in 2014. James was selected as a finalist to present his research at the prestigious Transport Research Arena 2012 conference and was awarded the silver medal in the Environmental Pillar for his presentation. 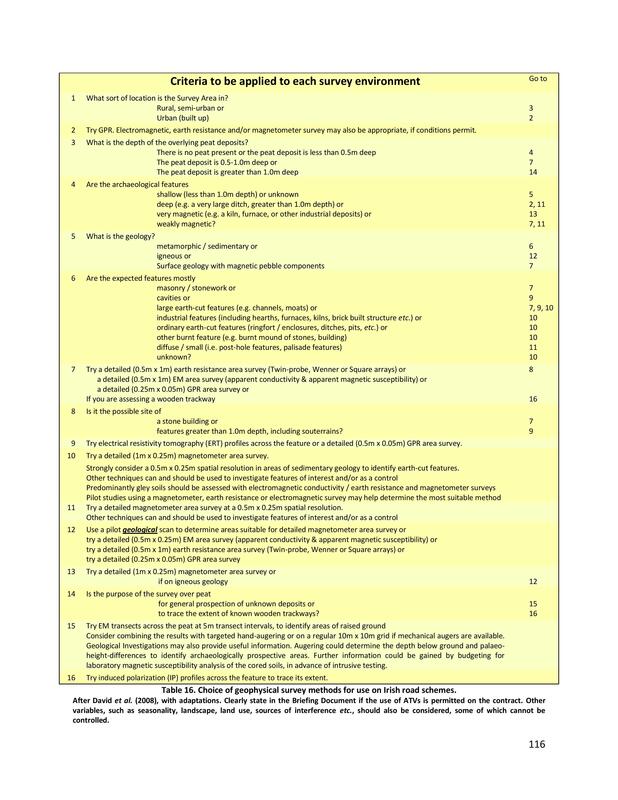 A preliminary review of progress in Issue 6 of Seanda NRA Archaeology Magazine (published in December 2011) and a paper at the 2012 NRA National Archaeology Seminar. This paper, co-authored by James Bonsall, Dr Chris Gaffney and Professor Ian Armit, was published in the subsequent seminar proceedings in autumn 2013. An online database from which NRA-commissioned geophysical reports. 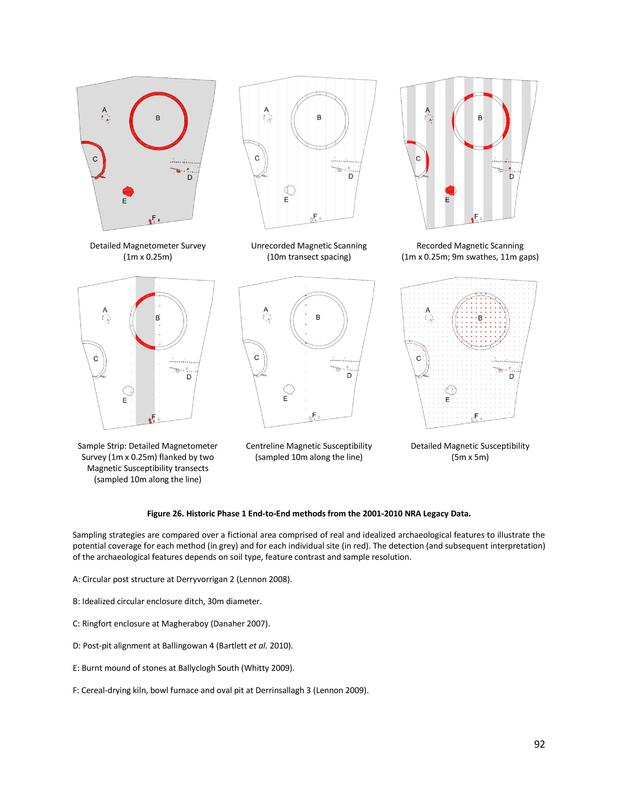 The NRA Archaeological Geophysical Survey Database was launched in April 2013 and an article about this important online resource was published in Issue 8 of Seanda. Bonsall, J 2011 ‘Ten years of archaeogeophysics’, Seanda, No. 6, 38–9. Bonsall, J, Gaffney, C & Armit, I 2013 ‘Back and forth: paving the way forward by assessing 10 years of geophysical surveys on Irish road schemes’, in B Kelly, N Roycroft & M Stanley (eds), Futures and Pasts: archaeological science on Irish road schemes, 1–13. Archaeology and the National Roads Authority Monograph Series No. 10. National Roads Authority, Dublin. 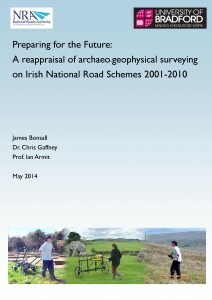 Bonsall, J, Gaffney, C & Armit, I 2014 Preparing for the Future: a re-appraisal of archaeo-geophysical surveying on Irish National Road Schemes 2001-2010. Report by the Division of Archaeological, Geographical and Environmental Sciences, University of Bradford. Bonsall, J, Sparrow, T, Gaffney, C, Armit, I & Swan, R 2013 ‘Underground, overground’, Seanda, No. 8, 14–15. 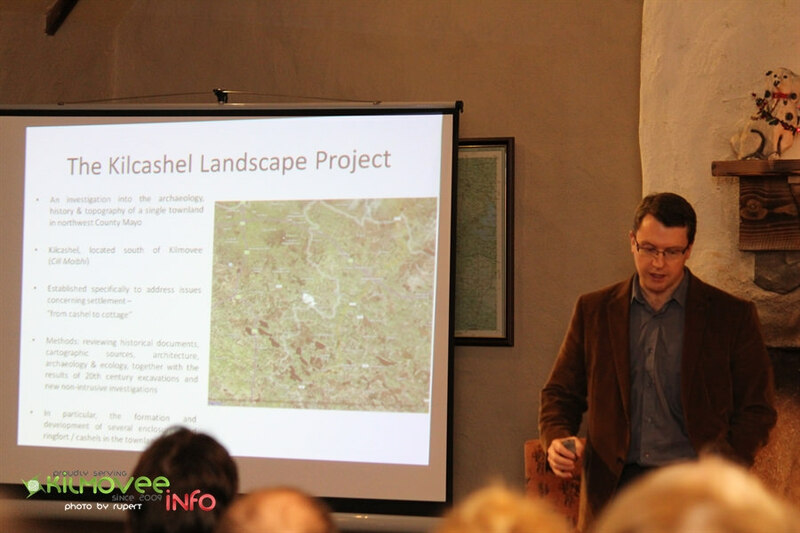 Dr James Bonsall, director of Earthsound Archaeological Geophysics and Lecturer at IT Sligo gave a talk on the latest findings from the Kilcashel Landscape Project at the Kilmovee Winter Lecture Series on Tuesday December 15th, in the Kilmovee Community Centre, Co. Mayo. 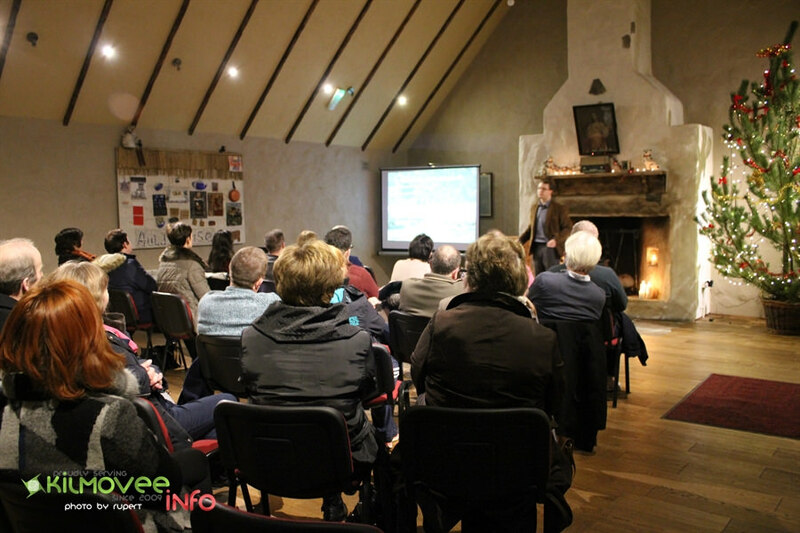 Dr James Bonsall talks at the Kilmovee Winter Lecture Series about the Kilcashel Landscape Project at Kilmovee. James’ talk focused on the range of archaeological sites in Kilcashel, from Bronze Age fulacht fia to medieval cashels and 19th century mud cabins. James was also interested in people’s use, experience or memories of the archaeological sites in Kilcashel townland – the cashels that are no longer there, Father Henry’s Fort and any other memories of buildings, archaeology and folklore. These all contributed to a Database of Archaeology in Kilcashel townland, which led to the longest Q&A session in the history of the Kilmovee Winter Lecture Series! 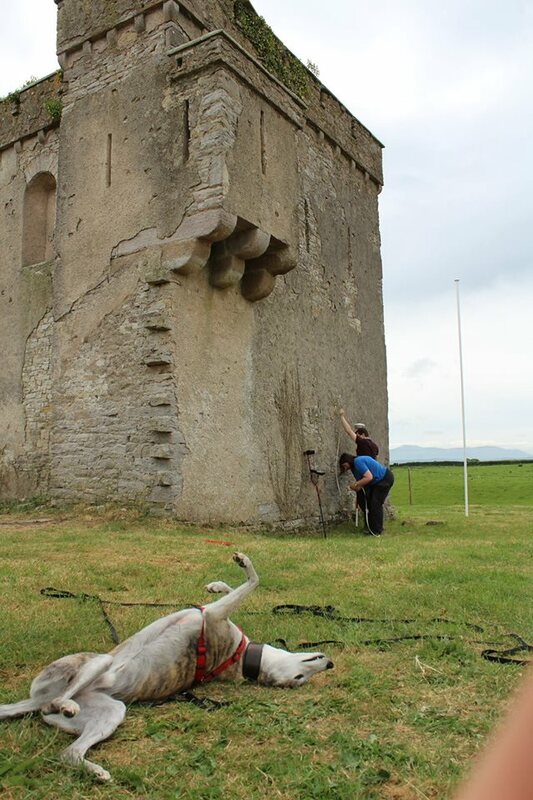 Yesterday, Earthsound Archaeological Geophysics had the pleasure of returning to Athy in County Kildare to carry out magnetometry and electromagnetic induction surveys at Woodstock Castle. 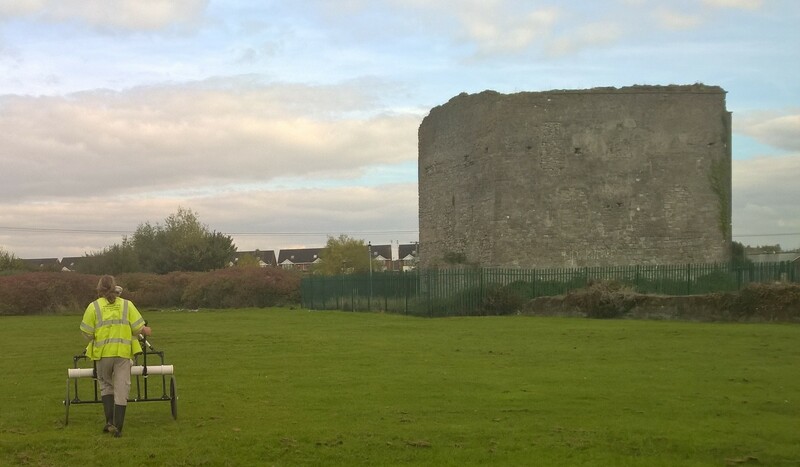 This is the latest in a number of projects that we have carried out in Athy over the past few years, which have included geophysical and LiDAR investigations of the historic Town Walls and Black Castle Tower which have been a part of the ongoing efforts of the Athy Heritage Centre-Museum to inform locals and visitors alike on the wonderful history of their town! Cian Hogan and Darren Regan of the Earthsound Field Division braved a cold October morning to survey the environs of the castle. Darren was filmed for a short video that documented the surveys for the benefit of the local national school. We love returning to Athy each year to add a little bit more knowledge to the development of this important medieval town and this is just the latest in a long line of projects for the Athy Heritage Centre-Museum! 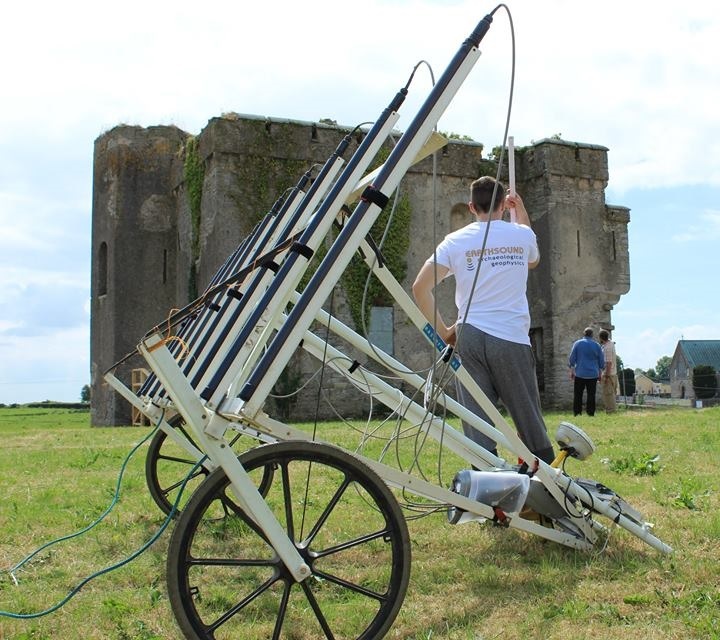 Since the year 2013, Earthsound have had an ongoing relationship with the Athy Heritage Centre-Museum in connection with The South Kildare Medieval Heritage Project on a variety of projects which encompass geophysical surveys, historical research and public outreach campaigns. The first project we engaged in involved a number of geophysical surveys in order to detect the location and morphology of the historic town halls, an investigation we returned to again in another area of the town in October of 2016. The work carried out in October 2016 involved the use of Ground Penetrating Radar and led to the discovery of a number of significant anomalies such as possible walls, defensive structures and remains associated with a mortuary site. As part of these ongoing projects, Earthsound has spoken and given demonstrations at a number of community activities based in the town in order to explain the work we have carried out and to hopefully give a greater understanding to the residents of the archaeological and historical heritage that surrounds them. Athy is part of the Irish Walled Towns Network and Earthsound have undertaken similar studies on Cashel Walled Town and Castledermot Walled Town.